The Kiss, 1886 (Musée Rodin, Paris). There are numerous other versions of this work. 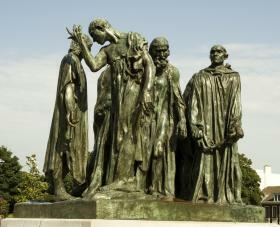 Monument to Balzac, bronze, 1898 (Museum of Modern Art, New York). There are numerous other versions of this work.